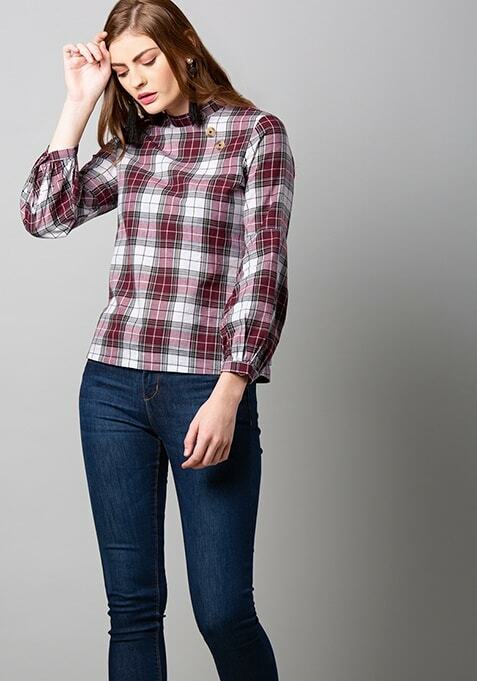 This maroon tartan checks top makes a perfect choice on the days when you don't feel like dressing up. Features mock button details, high neck and full sleeves. Work It: Call it a day by pairing it with high-waist skinny jeans and sneakers.